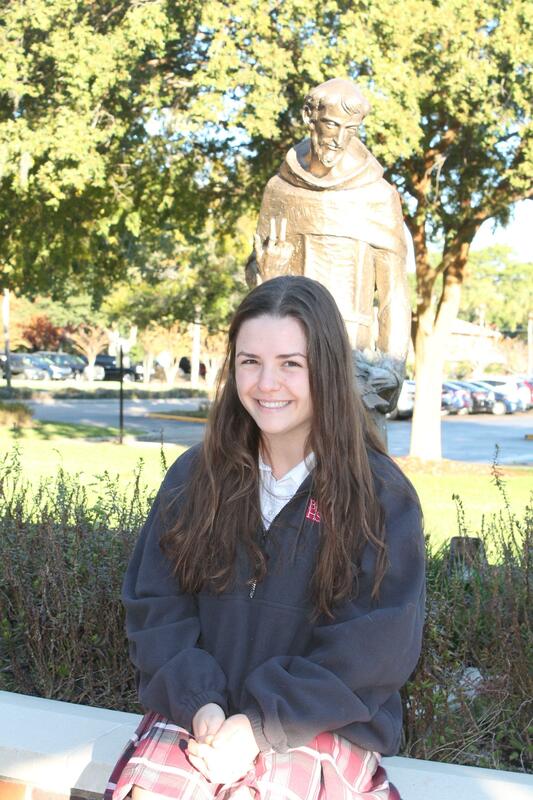 Congratulations to Carley Smith ‘19, who has been named the Bishop Kenny High School student of the month for December. Carley was selected for her generosity and compassion. In Carley’s words, “Serving others, especially volunteering at Camp I am Special, has taught me patience and a love for those with special needs.” Carley’s goal is to become a medical doctor with a focus on those with special needs. “I just feel right when I am helping others!” stated Carley. Carley has a rigorous academic schedule and carries a 4.429 GPA. She is currently the Chaplin of the National Honor Society, President of Career and Community Leaders of America (FCCLA). She is involved with Kairos, and works part time at Orange Theory Fitness. Carley has donated 1,430 service hours the majority of which were at Camp I am Special.